North Wales is known for its gorgeous scenery, and also its charming towns and villages which can be found throughout the region. Our caravan park near Llandudno is close to two very popular seaside towns, Conwy and Llandudno. 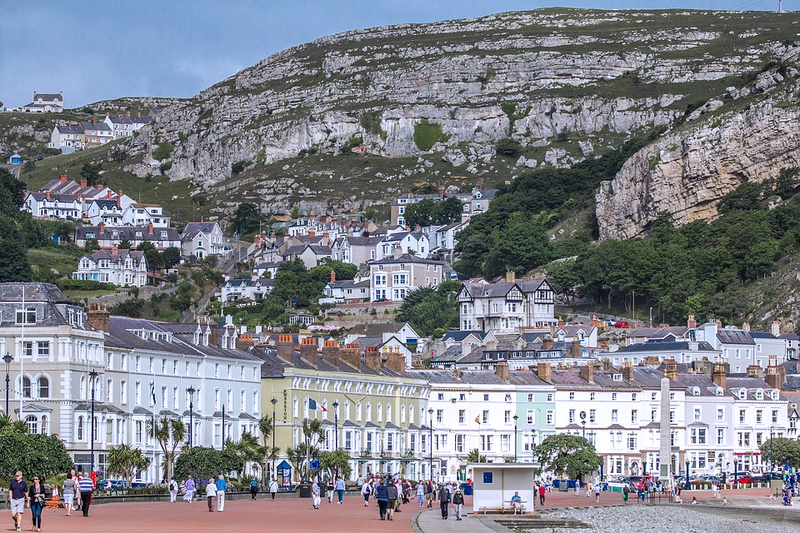 When it comes to the seaside resort of Llandudno, there’s always plenty to do on a sightseeing day out. Your first stop should be the Victorian promenade, which spans the length of the town, offering fantastic coastal views along the way. Once you’ve taken in the glorious views, you’ll want to visit the Llandudno Pier. Home to a range of tasty food and concession stalls, as well as a huge arcade, it’s a great place for both adults and children to spend a few hours in. The Great Orme, a giant limestone headland on the north coast of the town, is the most popular natural landmark of the town. 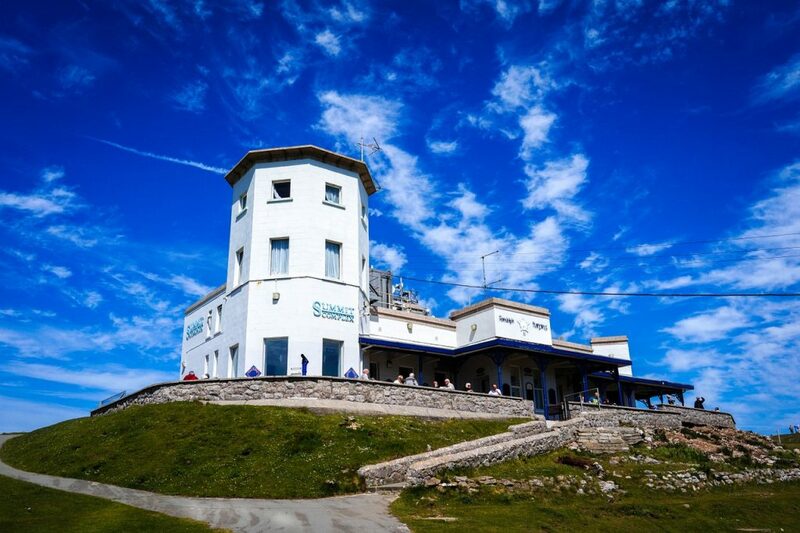 Atop the Great Orme, you’ll be rewarded with fantastic views of the sea and the surrounding mountains. There are various ways to reach the summit of the Great Orme. If a strenuous walk up to the top isn’t something you fancy doing, you have the option of driving all the way up, or taking a scenic tram journey to the top. The Great Orme Tramway has been taking visitors up to the summit of the Orme for over one hundred years, and is a fantastic experience for children. The Great Orme is home to a wide range of wildlife and vegetation, including rare species of flowers and butterflies. You might even be able to see the resident Kashmir Goats, which were first introduced to the Orme hundreds of years ago. After a day of exploring Llandudno, the town of Conwy should be next on your list. 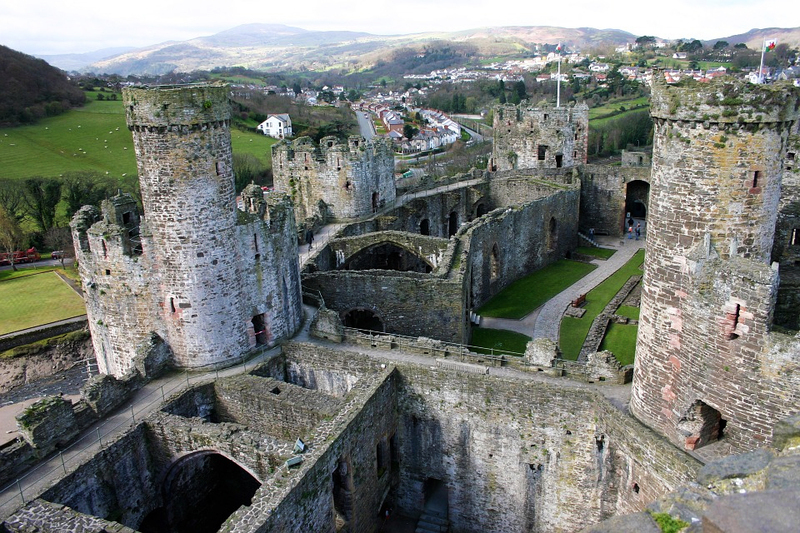 Conwy is a walled-town, which is famously known for its medieval 13th century castle, which sees a high volume of visitors each year. Conwy is a charming town to walk through, with much of the architecture remaining very traditional. Take a walk around the preserved Plas Mawr, an Elizabethan townhouse rich in history, or simply enjoy the seaside views from the town quay. You can also take a walk around the town walls, taking in impressive views of the historic town as you do so. The Conwy quay becomes incredibly busy during the summer months, but there are plenty of benches to sit down and enjoy the views at your own pace. On the quay you’ll also find a quaint pub serving food and refreshing pints, as well as an ice cream truck which serves a range of freshly made ice creams. Llandudno and Conwy are two seaside towns within North Wales. Our caravan park near Llandudno means both towns can be accessed and enjoyed without having to travel far at all.